Thailand Convention & Exhibition Bureau (Public Organization) or TCEB is moving forward to leverage MICE venues to achieve ASEAN venue standards. Highlighting the role of Thailand as the leader of regional MICE standard development, TCEB has a high hope to equalise regional venue standards in regard to compete on a global scale. 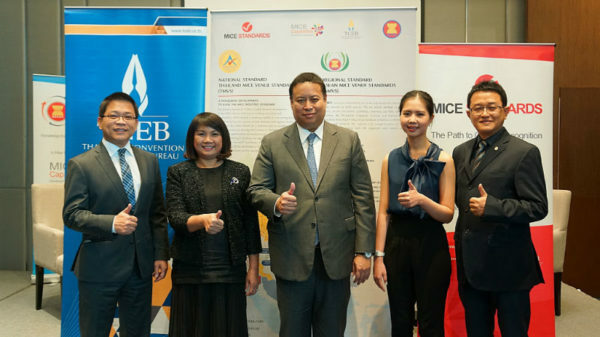 In 2016, ASEAN agreed to use Thailand’s MICE venue standard as ASEAN venue standards. Consequently, member countries have begun to implement the standards in meetings room category. Countries certified with ASEAN MICE Venue Standards (AMVS) are as follows: Brunei 3 venues / Cambodia 5 venues / Indonesia 5 venues / Laos 5 venues / Malaysia 5 venues / Myanmar 5 venues / Philippines 5 venues / Singapore 4 venues / Vietnam 5 venues / and Thailand 13 venues. Mr. Chiruit Isarangkun Na Ayuthaya, President of Thailand Convention & Exhibition Bureau (Public Organization) or TCEB, disclosed that this year, TCEB, as the representative of Thailand, has continued to empower Thai MICE industry on ASEAN stage, and have prepared to propose the direction of standardisation for Exhibition Venue category under ASEAN MICE Venue Standards – AMVS at the meeting held during 13-15 September 2018, at Centara Grand at CentralWorld. “Key message of the meeting is a discussion on drafting ASEAN MICE Venue Standards in Exhibition Venue category. TCEB is determined to provoke agreement on the draft of AMVS from the working group for which will be developed further as ASEAN venue standards. Definitely, this will enable Thailand and fellow ASEAN countries to compete on a global scale”. ASEAN has accepted TMVS as part of ASEAN standards, and assigned Thailand to host the working group on the drafting of ASEAN MICE Venue Standards together with 9 other member countries working under ASEAN’s main working group known as ASEAN Tourist Professional Monitoring Committee (ATPMC). According to the strategic plan, ASEAN has been determined as quality tourist destination with distinction that offers different experiences and sustainability. In addition, key issue of the plan accentuates MICE travellers as a visitor group that spends more than other types of visitors. 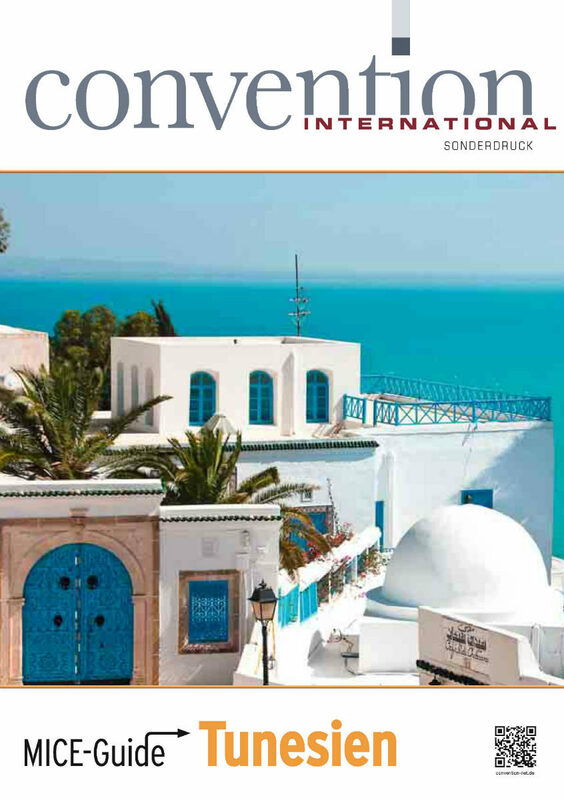 Therefore, MICE travellers are capable of contributing to the growth of tourism and MICE industry, and thus significantly generating income into the country. Thailand is ASEAN’s originator of MICE venue standardisation and has brought the issue into ASEAN Tourism Forum in 2014. Later in 2016, ASEAN NTOs Meeting agreed to include Thailand MICE Venue Standards – TMVS into ASEAN Tourism Strategic Plan 2016-2025. Beside Meeting room and Exhibition Venue, the standards of Special Event Venue will be established with mutual efforts by 2025. For Thailand, TCEB has planned to direct and organise trainings on AMVS for entrepreneurs across Thailand, side by side with a mentorship from the Management System Certification Institute (Thailand) in order to enhance entrepreneurs’ understanding. In 2018, 20 MICE venues are expected to achieve AMVS certification in Thailand. Mr. Ferry Tjahjono, Cluster Director of Sales, Centara Grand at CentralWorld, said that the attempts to enhance the standard of Thailand’s MICE venues to meet International requirements are considered proactive endeavours of TCEB. With regard to achieve as an AMVS certified venue, permanent spaces have been added, which include prayer room and restrooms designed for seniors and the disabled. Training in waste management has been implemented to ensure compliance with applicable law. With these standards, meeting planners and organisers will gain more confidence in selecting Bangkok as MICE destination. In fact, the year to date shows the most successful period since the launch of Bangkok Convention Center at CentralWorld in 2007. We have seen double-digit growth. Our venue has hosted major events and corporate meetings for leading associations. Mr. Sitthirat Hothongkam, Hotel Manager, Sheraton Hua Hin Resort & Spa, said that the hotel is highly determined to operate and enhance the infrastructure that supports Thailand’s MICE in Hua Hin to achieve optimal strengths and potentials. Thanks to the collaboration from Information Center for MICE and assistance from TCEB that have helped to enable us to work fast and impress MICE travellers from all over Asia and the entire world. This way, Thailand can compete on a global scale with genuine pride. Ms. Thamolwan Chalongrathakij, Assistant Director of Sales & Marketing, Duangjitt Resort & Spa in Patong Beach, Phuket, disclosed that after having received the AMVS certification, customer confidence has become more strengthened. Desirable feedbacks from Asian customers have surged by 19% compared to the previous year, including Singapore, Malaysia, China, Vietnam and Thailand. The potential of our convention room and the readiness of our MICE personnel have enabled us to respond much better to customers’ demands, and we are looking forward to preserving the standard.